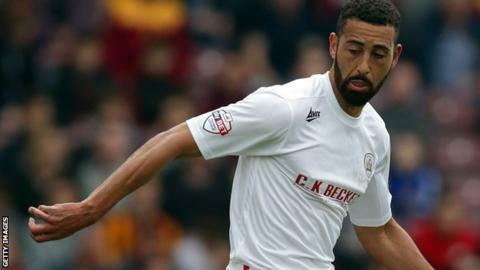 Lewin Nyatanga scored at both ends as Barnsley came from behind to end Swindon Town's unbeaten away run in resounding fashion. Nyatanga headed the Robins ahead when he collided with his goalkeeper Nick Townsend and the ball trickled in. But Marley Watkins slotted the Tykes level and Reece Wabara's strike made it 2-1 from Conor Hourihane's pass. Nyatanga headed Barnsley's third after the break after good work by Hourihane, who made it 4-1 with a simple tap-in. The victory takes Barnsley up to 11th in League One, one point and three places behind Swindon.